US Made. 100% Organic. A non-greasy formula that instantly absorbs. 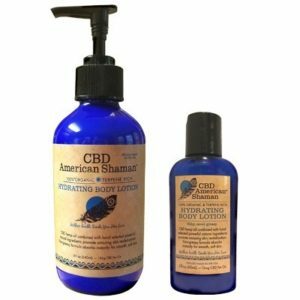 Their hydrating body lotion is a combination of hemp oil and other powerful natural ingredients. These ingredients promote unbelievable skin revitalization alone, but, in this formula they work together to give you incredibly soft , smooth skin. They have combined not only the highest quality of CBD Oil, but, Cocoa & Shea Butter, Cocoa, Shea, & Apricot Oil, Aloe Vera, Soy Lecithin, Coconut Oil, Grape Oil, Sweet Almond Oil, MCT Oil, CBD & Terpene Rich Hemp Oil, Avocado, Vitamin A, D, and E Oil. 2 ounce and 8 ounce sizes.